Hi ladies! 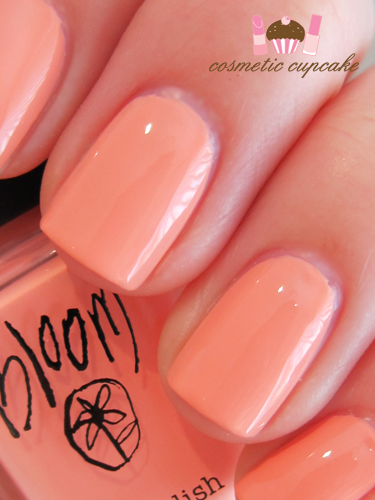 Today I have some quick swatches for you from awesome Aussie brand Bloom cosmetics. 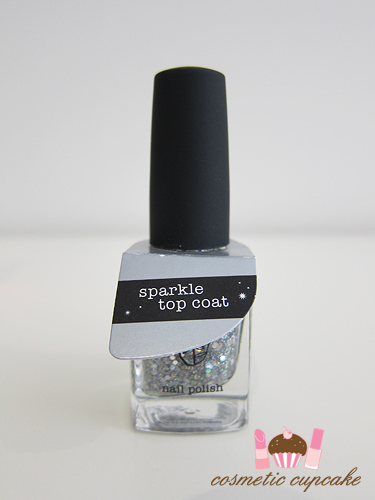 They recently released four new Top Coat polishes to their range which consist of two glitter and two crackle polishes. I have the Sparkle Top Coat in Silver for you and also Flamingo Sands I.
Bloom Sparkle Top Coat in Silver contains large silver holographic hex glitters and small round glitters suspended in a clear base. The holographic glitters look fantastic and they slide onto the nail easily. It dries to a glossy finish (although the last pic looks matte for some reason!) and dry time was reasonable. 2 coats is pictured. I layered it over Bloom Flamingo Sands I which is a gorgeous pastel peach creme that's slightly darker in real life than my pics. It's a beautiful colour but unfortunately application was very tricky! Like most shades like this, it was bald patches galore unfortunately. The result is well worth it though! It's a great summer/spring colour. 3 coats is pictured. 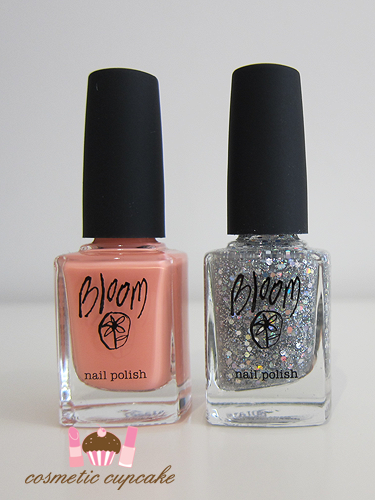 Details: The Bloom Sparkle Top Coats are available now from Myer, Bloom's flagship Store and online at bloomcosmetics.com for $19.95. When you purchase 2 polishes you only pay $29.95 (saving of $9.95)! EDIT: Bloom are currently having a sale and everything is a whopping 25% off until April 17 with code midseason25! Hop to it ladies! Wow so pretty! I have a polish from Revlon similar to the sparkly one but that peach is soooo lovely! Oooh which Revlon is that? 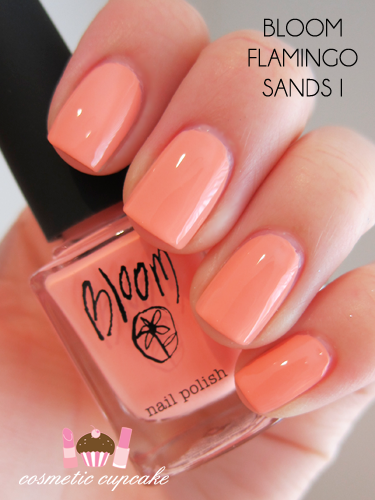 Flamingo Sands I is one of the nicest peach polishes I've come across. Too bad these shades are always so tricky to apply! That topcoat is so pretty, love the multicoloured hex glitter. Flamingo Sands is such a gorgeous peach! The hex glitter is the best part of the glitter. It's so awesome! I'm glad you like them Maddy! I agree Chrissy! I'll definitely be wearing it for the warmer months. I've been after a silver sparkle like that for SO long!!! Going to pick it up when I'm in the city today, it looks lovely. Oh wow, this is really pretty! I'm loving Flamingo Sands as well! No worries!! Glad you like the shades.